The 2,052-passenger Carnival Ecstasy was the first ship to depart from Port Canaveral’s new USD$65 million Terminal 6 on Tuesday when she set off on a five-day voyage to the Bahamas. The sold-out cruise is the first of over 225 departures annually from the new state-of-the-art facility that will be officially opened with a ceremony on 13 September supporting Florida charity, United Way. 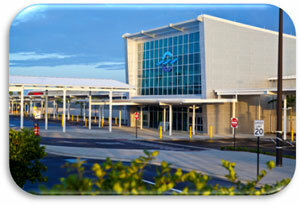 Boasting the ability to simultaneously embark and disembark passengers, the terminal also features a two-story atrium and a 750-space car park adjacent to the facility and connected by a covered walkway. 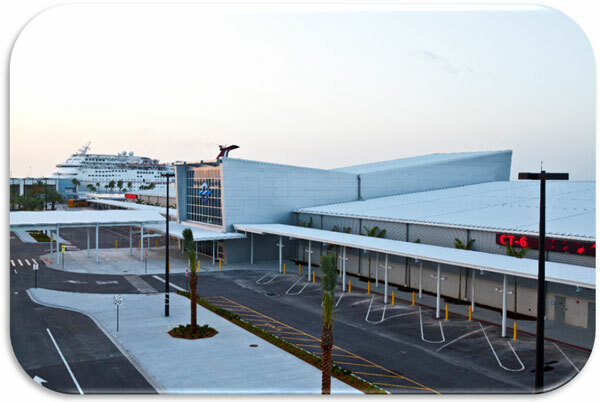 “With this new world-class terminal, Carnival Cruise Lines will be able to operate more effectively, but, more importantly, our guests will be able to have a very good embarkation and debarkation point for their cruises,” Carnival Cruise Lines vice president of Commercial Port Operations Carlos Torres de Navarra said in a statement to Florida Today. Seatrade Insider has reported that an additional USD$24.4 million in funding by the Florida Department of Transportation has also been confirmed to complete the harbour widening and deepening project to allow the berthing of larger cruise and cargo ships. Carnival will be the primary cruise line calling into the new facility with more than 600,000 passengers carried from the Central Florida port collectively by Carnival Ecstasy, Carnival Sensation and Carnival Dream. The terminal will also welcome Norwegian’s newest ship, Norwegian Breakaway from October 2013 to April 2014 when she calls in as part of her Bahamas/Florida cruises out of New York.